German rock legends Rufus Zuphall feat.original band members Günter Krause (gt, voc, bandleader), Klaus Gülden (flute), Helmut Lieblang (bass, lyrics) are still on the live-circuit. In summer 2006 they performed at famous Belgian rock-underground club "Spirit of 66". This show was broadcast by German radio station "Deutschlandfunk". Over more than 120 minutes Rufus Zuphall played an hand-picked show including all their classic titles like "Weiß der Teufel, Avalon, Spanferkel, Portland Town, Knight of 3rd degree" et.al. But also new songs like the title track of this double Album "Outside the gates of Eden", a superb work, which reminds to the best moments of their classic 2nd Album "Phallobst" are included.Further new titels like "Blue Zone, Lover mine or Sixpack "are examples of the excellent songwriting Bandleader Günter Krause is still able to. 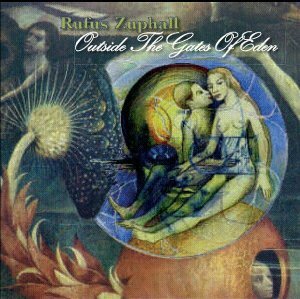 This great Concert shows the tremendous passion of Rufus Zuphall´s performing abilities. Digitally remastered from the original broadcast tape. Highly recommended.